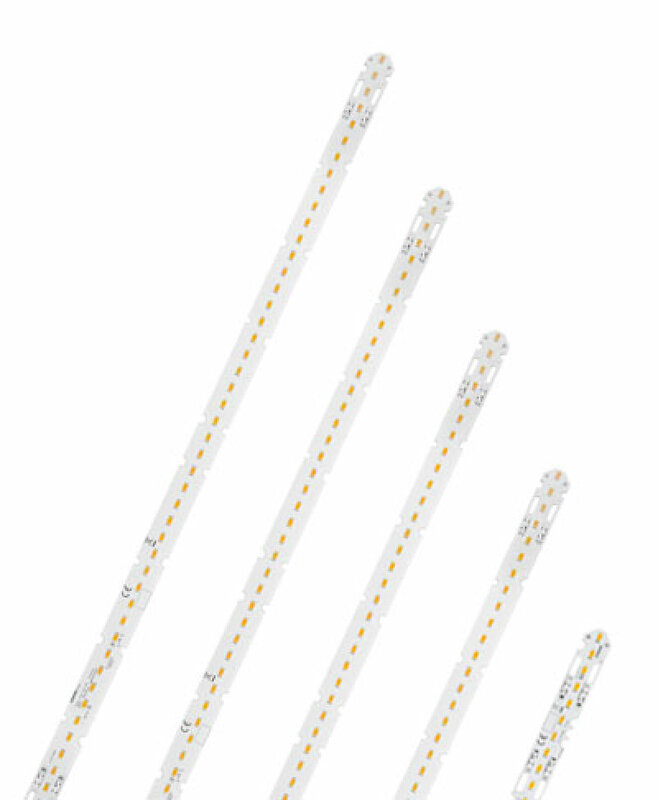 Thanks to its high efficiency of up to 200 lm/W, PrevaLED Linear G4 is also ideal for highbay luminaires. The PrevaLED Linear G4 product portfolio provides a large number of color rendering levels, luminous flux levels, and is available in various lengths. The modules can also be used with many different OPTOTRONIC Linear LED drivers – both SELV and non-isolated, DALI or ON/OFF, programmable or non-programmable. The PrevaLED Linear G4 modules are easy to install: connectors on the back for shadow-free wiring, as well as cut-outs in the printed circuit boards to insert cables from below. Extended accessories are also available.